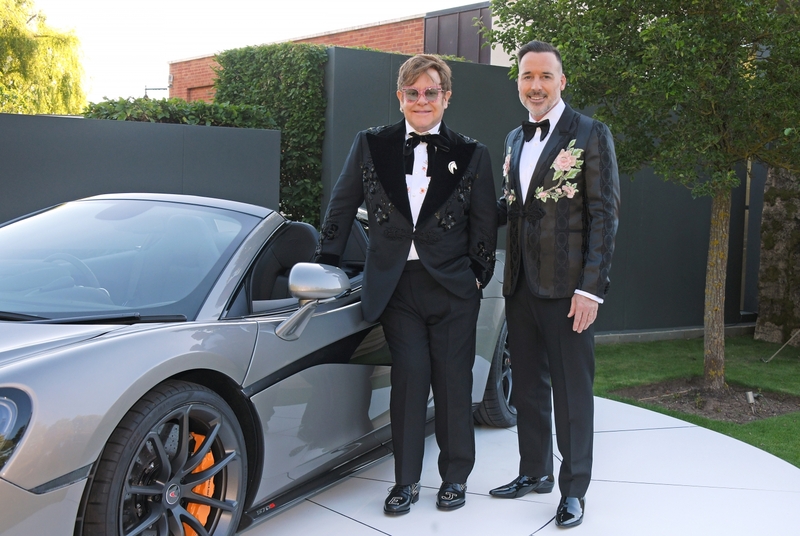 McLaren announced Friday that the custom 570S Spider it donated to the Elton John AIDS Foundation for the Argento Ball fundraiser sold for $948,000. 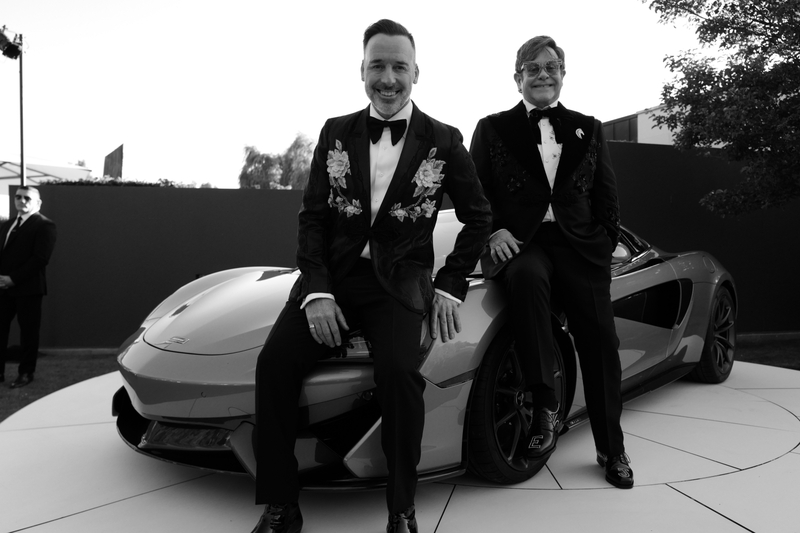 All proceeds from the auction, which took place at Sir Elton John and David Furnish's home in Berkshire, England June 27, went to the foundation to help reduce the spread of HIV. While the ball hosted the likes of Ed Sheeran and Graham Norton, the winning bid went to an anonymous West Coast U.S. resident. In addition to a new supercar, the winner will receive an exclusive tour of McLaren's Technology Center in Woking, England, guided by brand ambassador and Bruce McLaren's daughter Amanda McLaren. The car itself is highly optioned, featuring a hand-sprayed Blade Silver to celebrate the foundation's silver anniversary. McLaren Orange carbon ceramic brake calipers peek out from behind the car's Stealth-finished 10-spoke lightweight alloy wheels, and McLaren even threw in its new Sports Exhaust to make that 3.8-liter twin-turbocharged V-8 sing. The interior sports Jet Black Nappa leather seats with matching Carbon Black stitching and a 10-speaker Bowers & Wilkins audio system perfect for blasting "Rocket Man" before hitting warp speed on the highway. 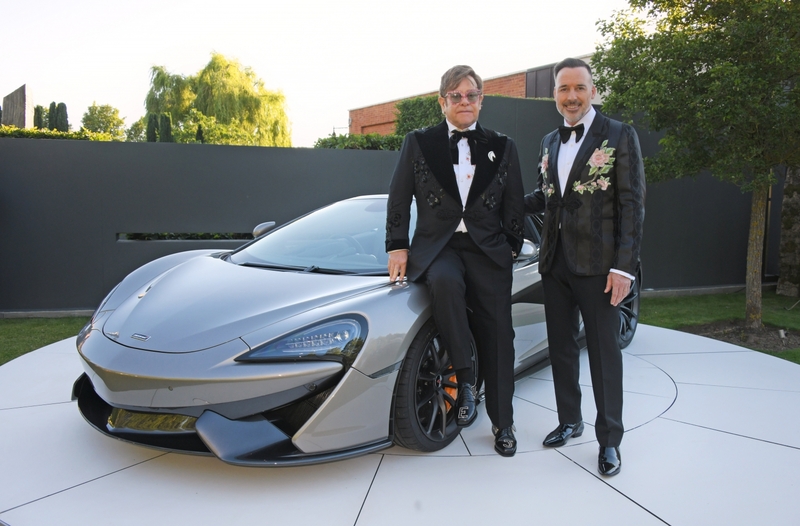 Thanks in part to the sale of this bespoke McLaren, the Argento Ball auction raised about $5.5 million in total for the Elton John AIDS Foundation (EJAF) Wednesday. EJAF not only finds ways to stop the spread of HIV and lessen the condition of AIDS, but also reduce the negative stigma associated with those suffering from the deadly disease. The foundation has helped raise almost $400 million and reaches more than 26 countries where the disease is rampant. You too can get your hands on a car like this but you won't have to pay nearly seven figures for it, as a regular McLaren 570S Spider retails for "only" $208,000.